These sparkling blue sapphire and diamond clover earrings from Apples of Gold Jewelry combine deep blue sapphire gemstones, brilliant diamonds, and 14K white gold to create a lovely set of earrings. 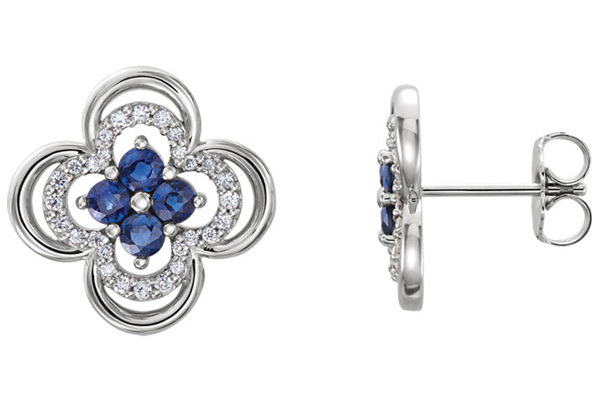 Each earring is sized at 1/2" for overall size, and in the center of each clover shaped earring are four 2.5mm blue sapphire gemstones per ear. Bordering those authentic, oceanic blue sapphire gemstones are 0.20 carats of diamonds (1/5 carat), which are rated G-H for color and I1 for clarity. The earrings have friction-post push-back closures that will keep your earrings safely in place during wear. If you want to create a fantastic style all your own, the earrings are also available with a matching necklace! 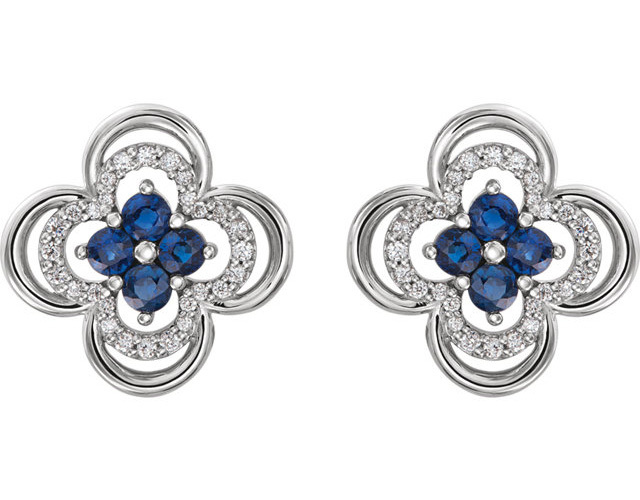 We guarantee our Blue Sapphire and Diamond Clover Earrings to be high quality, authentic jewelry, as described above.